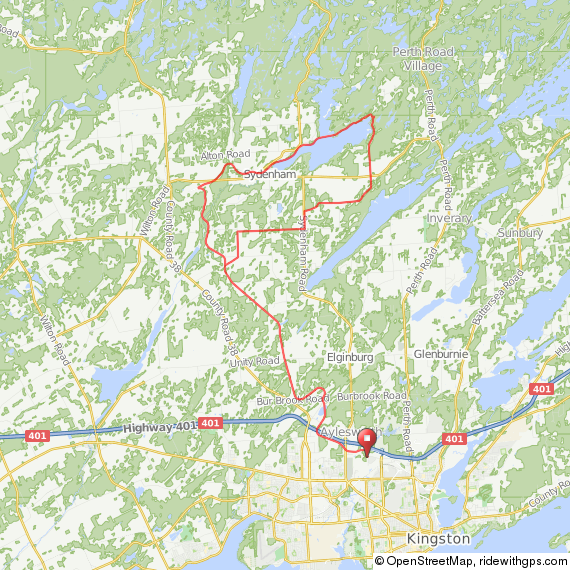 This ride is mostly on the K&P and Cataraqui Trail, making this primarily a gravel ride, with a short segment on some secondary roads. If the trail is dry you can get away with a 700x28 tire but if conditions are wet I would recommend something a bit wider and aggressive. The K&P Trail has become one of my favourite places to ride in the last couple years. If you don't want to drive to the trail head to start you can hop on the Trail near Lake Ontario Park and ride out.